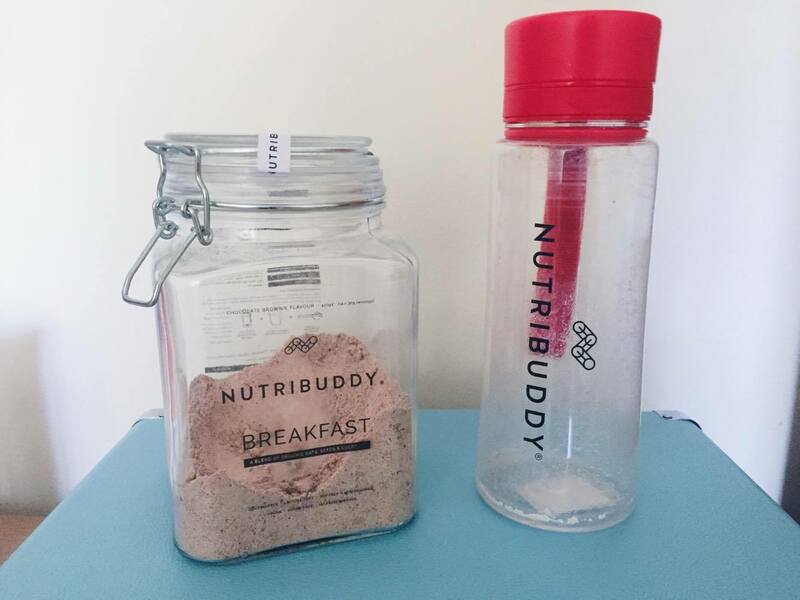 STARTING THE DAY RIGHT WITH THE NUTRIBUDDY BREAKFAST KIT. Hi chickens! I've been looking forward to telling you guys about Nutribuddy's new breakfast kit for a while now because I've been so happy with it! Last year I did a review on their sculpting whey and weight loss products which you can have a look at here and found it worked great (I'm still using it). 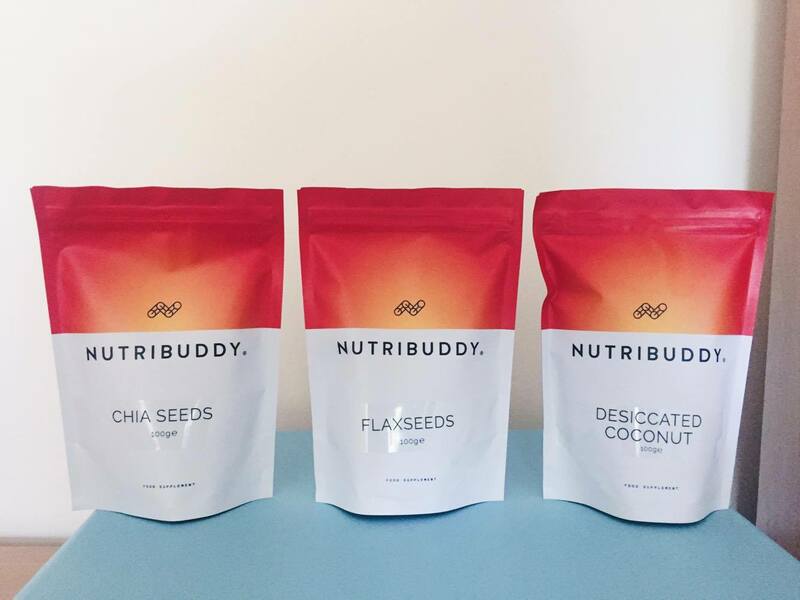 So when I was offered the opportunity to review the 'Nutribuddy Breakfast Kit' I jumped right on board. In fact I'm currently sat here drinking my chocolate brownie breakfast shake now, I know it's meant for mornings when you're on the run but it's quickly become one of my favourites and so drink it at home anyway. If you'd like to find more about the breakfast kit keep reading for a full review! 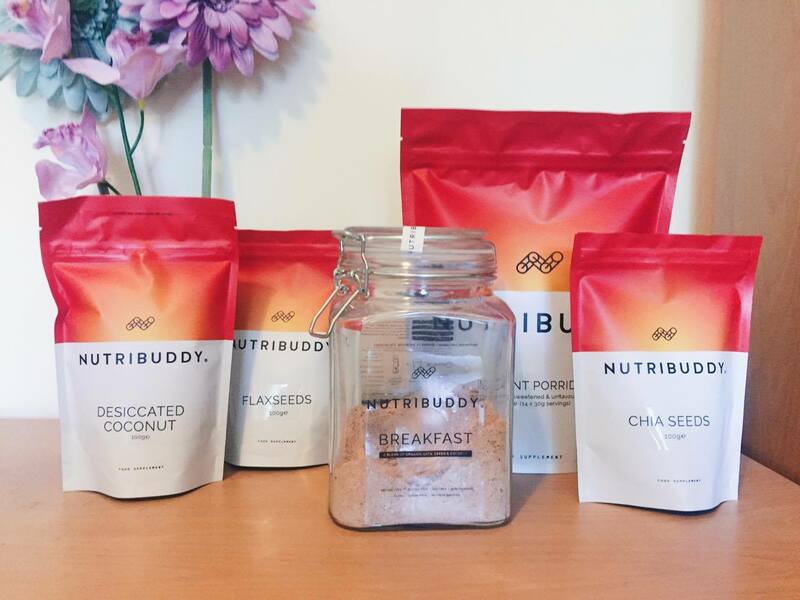 The kit itself comes complete with the Nutribuddy breakfast shake powder, instant porridge, a shaker and then you can choose to add on chia seeds, flax seeds and desiccated coconut if you so wish. The brand prides itself on putting safety first and all of their products only contain natural, healthy ingredients which also happen to be gluten free, sugar free and suitable for vegans! I've been using these products for two weeks now and I am currently trying to lose weight too. To be honest I'm not much of a breakfast person and usually skip it (or wake up so late that it's time for lunch). Although I've been getting into the habit of waking up and either having a bowl of instant porridge or making a shake if I'm feeling lazy or rushed for time. The breakfast keeps me full for around 4 hours which is a lot more than if I were to have a pain au raisin and caramel macchiato at uni. As you can see by the photo I've definitely made a dent in it, it comes with double the amount of stuff! You can choose from chocolate brownie, vanilla or unflavoured but I'd deffo recommend the chocolate brownie if that's your thing. It's made up of organic oats, chia and flax seeds, coconut and cocoa powder and it honestly tastes delicious. All you need to do is pour your milk into the shaker and then add 2-3 scoops of the powder to it and shake. At first instance I tried it with almond milk but I found it too 'sweet' so I prefer it with your standard semi-skimmed milk. I'm still yet to try it with coconut milk! My only struggle is trying to clean the inside of the shaker because my hand can't squeeze inside, so I might need to invest in a long sponge holder thingamabob. This product is definitely more filling than the shake and gives you a lot more versatility. It's pretty tasty for only having 3 ingredients - gluten free oats, chia seeds and coconut. I usually add a sliced banana or blueberries to the top with a drizzle of honey and then sprinkle all of the extras on top. I'm sure you've all heard of the benefits chia and flax seeds have (and coconut is just yummy). The fact they're so small means you can sprinkle them onto pretty much anything and give yourself that extra health kick. In a nutshell, I would recommend picking up a kit if you're looking for something quick, easy and healthy to eat in the mornings and if you're looking to either lose weight or make some small changes for a healthier lifestyle. If you're looking to buy some yourself you can find the breakfast bundle here. I really like the idea of this as I ALWAYS miss breakfast because I'm in such a run. I think that if something does fill you up then and doesn't leave you hungry then its always worth a try but can't say I would forever trade in my nutella on toast for a shake haha!!! It looks great though, also the packaging is so lovely! I really need some porridge in my life right now. Great post! Ooh, I'm intrigued by the chocolate brownie shake, that sounds amazing! I must admit that I'm forever skipping breakfast too, I just don't have an appetite in the mornings! However, something as delicious sounding as these products may be exactly what I need to tempt me! Thanks for sharing! The chocolate brownie shake sounds so yummy! I'm normally really against these kind of meal replacement products but if, like you say, people normally wouldn't have time for breakfast or just skip it and this encourages them to nourish their bodies in the morning that can only be a positive thing. I almost never eat breakfast as I just don't get time. These do sound brilliant for speed and easiness. (is that even a word?) I can be a bit fussy on taste and texture, so I'd definitely want to try a smaller portion before buying a big pack but I would be tempted to have a go with it. I don't like things that are described as weight loss products but I can see how it's a good idea for those who are normally too rushed for breakfast (and this is probably much healthier than my morning pastry!) If it keeps you full for a long time it's gotta be some good slow release energy! I agree with Rebecca, I don't like anything that is marketed as weightloss. Though I do like the look of these as a nutritional breakfast, I am currently trying to tweak my diet to find what works best to fuel my body and keep it going through my busy days and getting all the vitamins and minerals I need. These look great, and I love that you can mix and match the ingredients, and love that they're vegan! Oh wow a chocolate brownie shake sounds so good!! I'm so lazy that even something this simple is too much hassle for me! Normally because I constantly snooze my alarm and have no time for anything but a quick shower and getting dressed. An apple and/or a banana is my regular brekky!